I have a thing for diet coke, youtube makeup videos, pretty dresses and good design of any kind. Whether it be clothing, graphic design, electronics or cute stuffed toys, if it looks good, if it appeals to all of my senses, I want it. I am usually so overwhelmed by all the nice things out there I can't pick the best from the bunch, but when it came to choosing the designer to feature for my second Designer Friday feature, it was easy. I have known this fabbo Australian designer for quite some time and seen her multi talents at work. She has taken photographs for rocking zines, made lovely little animations and always managed to impress me. Her most recent venture is cute as a button; an online store called Daisy Doe that you will not be able to resist. Erin was kind enough to spare some time to talk to me about her life of design and little Daisy Doe. Samantha: Tell us about your background in graphic design and photography. Erin: I have always had a fascination with art and design, having grown up with parents who are very creative themselves. I never thought I’d get into design as a career myself, but after a few years of working in a job where I had no creative outlet, I realised that design is what really makes me happy. A few years ago I decided to have a career change, and so I undertook studies in Interactive Digital Media. I now work as a website designer, and love what I do. I also have a great passion for photography. I bought my first digital SLR camera in 2006, and enjoy taking photographs as a hobby. My experience taking photos over the years has helped me when it comes to photographing my products for my online shop. When I’m not taking product shots, I enjoy photographing animals, nature and people. Samantha: What is Daisy Doe and how did it come to be? 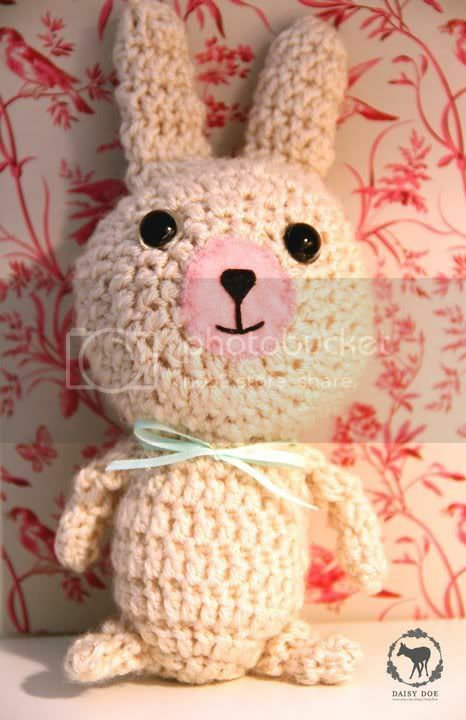 Erin: Daisy Doe is the name of my label which was established in 2010 to sell my handmade crochet animal soft toys. 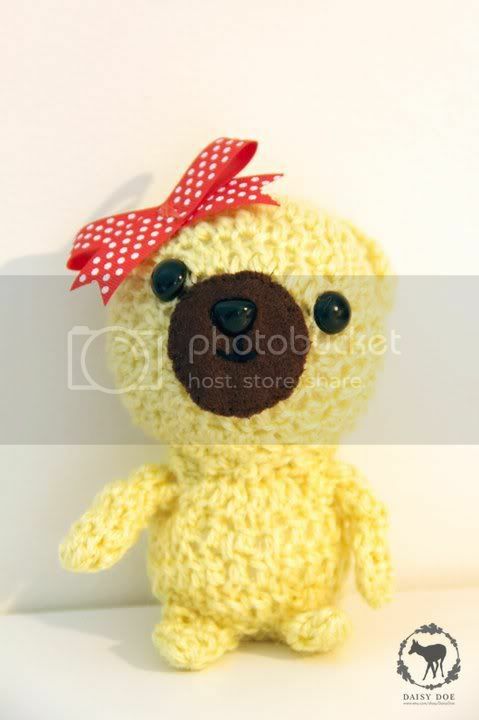 I taught myself how to crochet in November 2010 after I finished my studies. I was inspired by a few crocheted toys I had seen online, and figured I’d love to try creating my own. Samantha: How would you describe your personal design aesthetic? 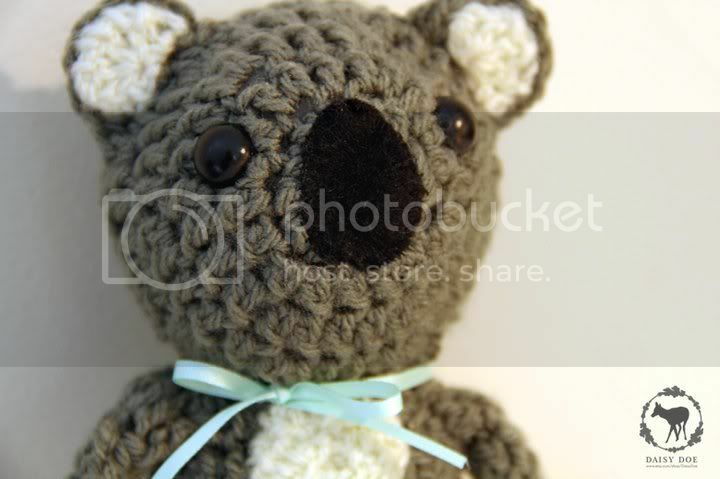 Erin: I am greatly influenced by nature and animals, hence why the majority of my crochet creations are animals. I also love to work with bright colours, which I believe can brighten anyones’ mood. Samantha: What does good design mean to you? Erin:Good design is original, eye-catching, shows good technique and is inspiring. Samantha: What advice would you give young people thinking about following a career in design? Erin: Always keep up to date on the latest news and trends in the design world. It is a very fast-paced industry, and it’s good to keep on your toes about up and coming designers or new technology. It is also a very competitive industry, but this should not put you off wanting to be a designer. It took me almost a year to get a job in the industry, but I would not change anything now. If you really love design (whether it’s graphic design or digital), your passion should come out in your work and the way you present it. If you are just starting out, try to get some work experience at a design agency so you can build up your portfolio with commercial pieces. It will also offer you the opportunity to start creating a network, which is essential in getting the word out there about yourself and will help to boost your possibilities for employment. Samantha: What will my readers find in the Daisy Doe shop at the moment? Erin:At the moment, I have all sorts of adorable crocheted animal soft toys available - from rabbits to birds and anything in between. I also make custom items and am happy to take requests. Samantha: What does the future hold for your design career? Erin: In the future, I hope to broaden my range of products available for sale. I would love to start making pieces for newborns and babies (such as beautiful crocheted blankets), and I also plan to sell home wear items such as decorative wall hangings and ornaments. 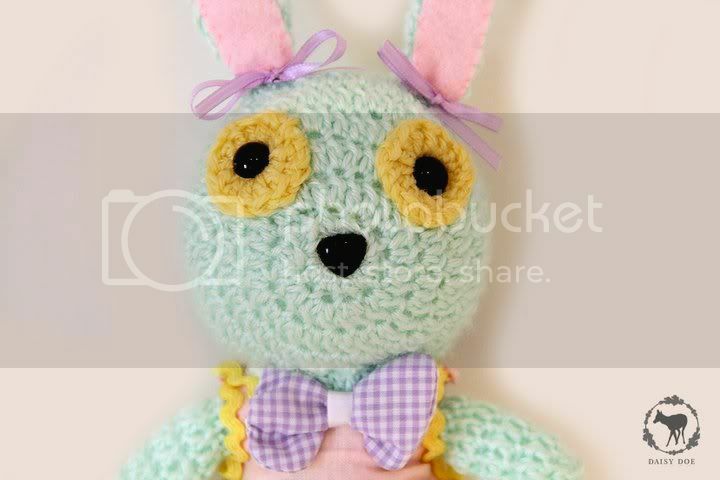 Of course, I still plan to make and sell many cute crocheted animals too! And some day, I would love to sell Daisy Doe items in retail shops. Samantha: Where can we find you and Daisy Doe? Erin: Daisy Doe and I can be found on Daisy Doe the Blog, Twitter, the Daisy Doe store on Zibbet and Facebook. Come find us! Aren't Erin's little creatures just jaw droopingly cute? I think so. The little Koala is my favourite, what's yours? I am also a big fan of the Daisy Doe Blog which is brimming with brilliance and cheer so do please pay her a visit. I am taking a break over the weekend to actually do some work on my much neglected university research project (hum drum; i'd rather be writing about cute crochet animals than the needs of Australian youth at a community level) so probably won't post over the weekend. P.s My ears and eyes are pealed for new Australian designers to feature in the coming weeks so drop me a line if you have a hint. Thank you Sam for the wonderful feature! :) I feel very privileged.